Shriners International is a fraternity based on fun, fellowship and the Masonic principles of brotherly love, relief and truth with nearly 200 temples (chapters) in seven countries and thousands of clubs around the world. The Al Bahr Shriners are proud members of Shriners International. This is the governing body for all Shriners. 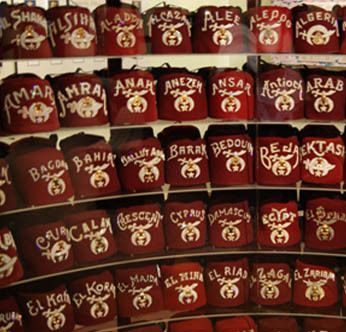 They provide the cohesive leadership that allows each Shrine to focus on the fun and philathropy, maintaining the proud traditions and standards of Shriners everywhere while making the necessary changes to allow Shriners continuous operations in an ever changing world. Visit Shriners International to find out more.